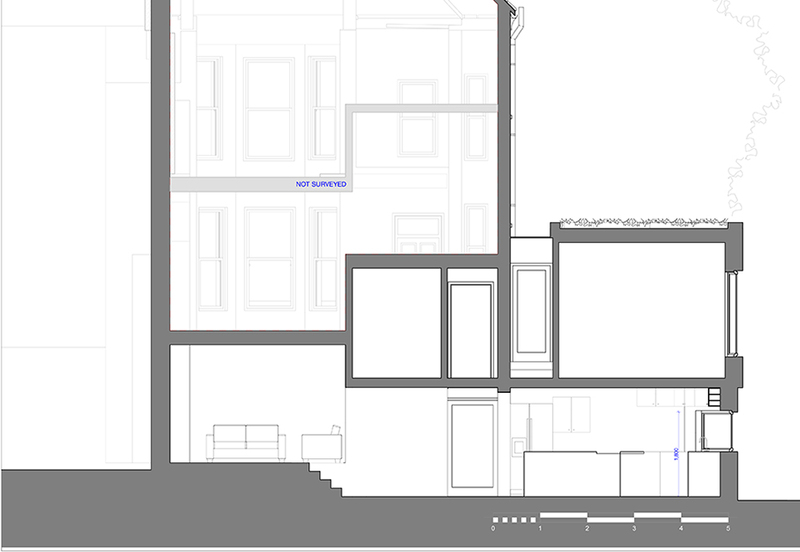 Planning consent to flat in Highgate, North London. 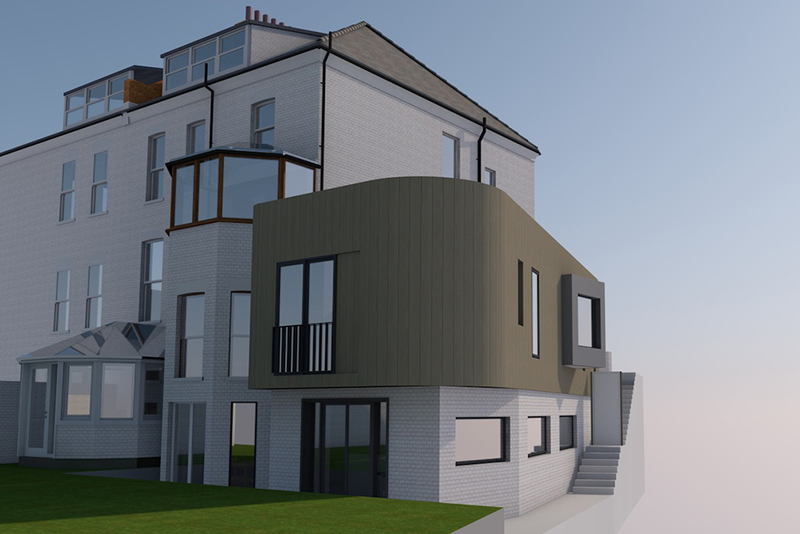 We’ve recently achieved planning consent for this flat, that forms part of a substantial property, in Highgate, North London – part of the London Borough of Haringey. The client is the leasehold owner of the lower ground floor flat in the semi detached building and owns the land to the rear and the side of the building. This has enabled us to create a substantial remodelling of the property. Works include the renovation of the existing lower ground flat, removing a reduced height basement, and creating an additional storey within a section of the flat. It also includes the creation of a 2 storey extension to the side of the flat, which provides level access from the street level, creating an additional 2 bedrooms, 3 bathrooms and drastically increasing the size of the kitchen, dining, utility and living space. This volume consists of a curved timber clad façade that wraps and over sails the lower ground brick plinth. A glazed slot visually separates the modern extension from the existing Victorian house, whilst providing circulation space and allowing natural light into the lower floor. 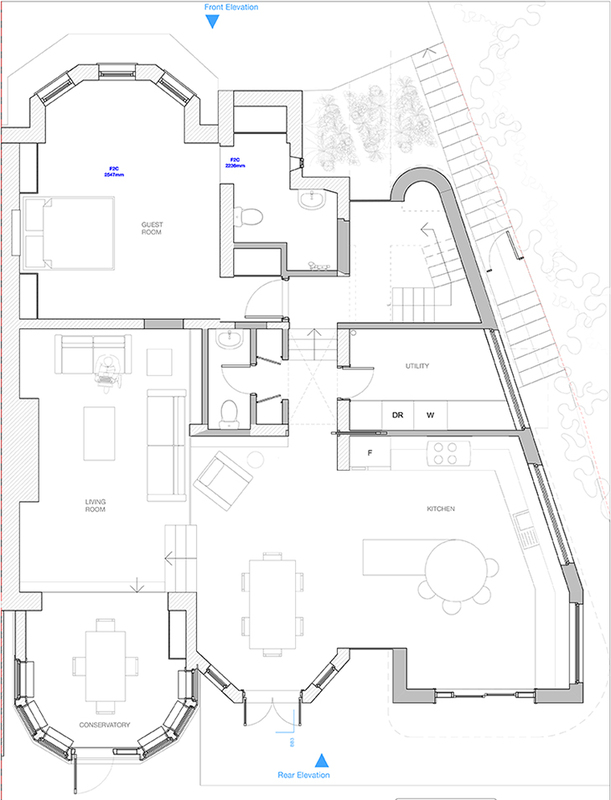 We are now progressing with the next stages of the design process, with a view to going on site late summer 2015.